Biosolids are nutrient-rich organic materials produced during sewage treatment. When properly treated and processed to remove pathogens, other hazardous elements and unpleasant odors, these materials can be repurposed as biosolids fertilizers which enrich soils and provide critical nutrients for plant growth. The application of biosolids fertilizers completes the environmental cycle while supplementing the supply of synthetic fertilizers. Biosolids fertilizers and other compound fertilizers using biosolids as raw materials can be supplied commercially in pelletized or granular form. These products can partially degrade with age and handling, resulting in undesirable dust. 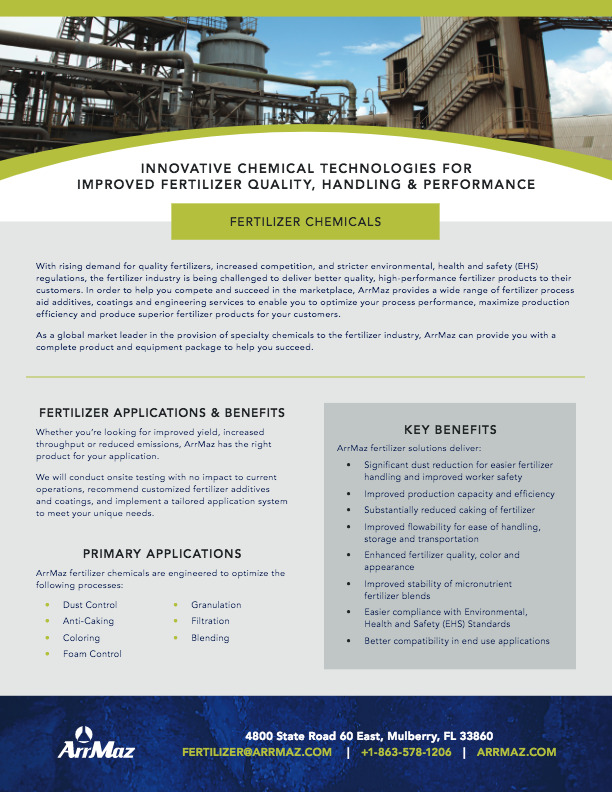 This dust can be minimized with proper application of an appropriate fertilizer dust control coating agent such as those found in ArrMaz’s DUSTROL® and GTec product lines.